Internationally renowned Melbourne duo Oh Pep! are back with their sophomore effort I Wasn’t Only Thinking About You…(October 26th ATO Records). The duo have released their second single "Hurt Nobody," paired with stunning visuals of performer Cecilia Low dancing across mountains in the Alpine region of Victoria. Directed by Emily Dynes, the music video perfectly recreates the grandeur of the song, with a woman escaping a night terror to dance amongst some pretty astonishing landscapes. I Wasn’t Only Thinking About You… was written and recorded across New York, Nashville, L.A and Melbourne – with the majority recorded at home in Melbourne with Australian producer and artist Joel Quartermain (Eskimo Joe). 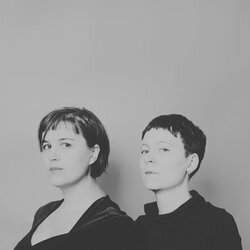 The album, mixed by Marky Wallis (Talking Heads, REM, The Go-Betweens, U2) immediately captures Oh Pep!’s spirit, curiosity and imminent likeability, while thoughtfully exploring the melody-rich expanse between indie pop and alt-folk - a new genre spearheaded by artists like Angie McMahon, Julia Jacklin and Lucius. Copyright Holder's Name Oh Pep!